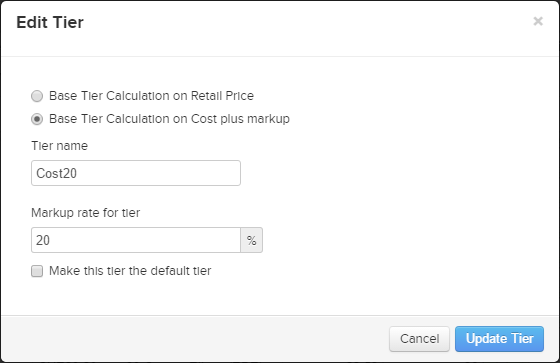 You can set your pricing scheme in your tiered prices. To get started, head on over to ⚙ Settings > Tiered pricing. You can set this new tier to be your default, meaning all jobs will use this pricing scheme unless overridden. Please note that Tiered Pricing is a Professional plan feature only.